Used as an attachment for the carpet extractors. Great for stairs and hard to reach places. 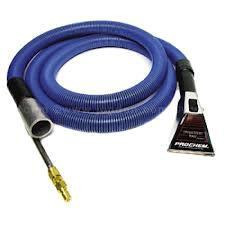 12 ft. vacuum & solution hose. * Please call us with any questions about our carpet cleaner stair attachment rentals in Oak Grove MO, Blue Springs MO, Independence MO, Lexington MO, Odessa MO, Independence MO and Western Missouri.